At Mass this Sunday, the Epiphany was reenacted. Three men from our parish community served as the three wise men; their children accompanying them, serving as pages. 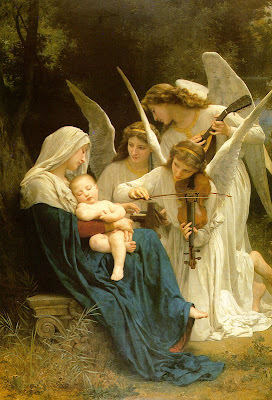 They laid their three gifts before the statue of the Christ child: gold, frankincense, and myrrh. Those are unusual gifts for a baby. I’m sure many of you have heard the joke about how if the three wise men had been women they would have brought much more practical gifts. Yet, the gifts those wise men brought from afar had a great deal of symbolic meaning. All three were highly valuable. They were gifts fit for a king – these men who had traveled so far brought the best that they had to offer. Gold needs little explanation. Then, as now, it was a valuable metal. Frankincense is a fragrant gum resin used in incense and in embalming. It was often used in religious services as an offering to God. Myrrh, another gum resin, was an ingredient in anointing oil. It also served as a perfume, a burial spice, and as a medicine. Myrrh was often used as a local anesthetic, including in postnatal care. What gifts would you bring the Christ child? If you knew that you were going to meet the King and Savior of the world today, what would you offer him? It’s something to think about, isn’t it? The truth is, we have that opportunity every single day. 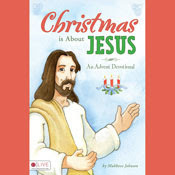 We can offer the Christ child material gifts. Certainly, He no longer needs that gold, frankincense, and myrrh, but as the source of all good things in our life, including money, we can give some of it back as an offering to Him. We can donate both to the Church and our neighbor. We can also offer Jesus spiritual gifts. He has given us all that we are. He wants all our love in return. We are instructed to love God with all our heart, all our soul, all our mind, and our neighbor as ourselves. What keeps us from doing that? What do we hold most valuable in our lives? Are there parts of ourselves that we hold back from God? Attachments we simply can’t let go of? Things we aren’t willing to give up, even when God asks us to do so? It’s a lifelong process, and the vast majority of us will never achieve perfection, but each time we make a choice to deny ourselves and love God and our neighbor, we are taking a step in the right direction and we are offering ourselves. Every time we choose to trust Jesus even when it seems impossible to do so, we lay a gift at his feet. Each time we use the gifts (talents) He has given us to make the world a better place, we give Him a present. Like the wise men of old, we have the opportunity every day to lay our gifts before the Lord. What will you give Him today? The second reading for this week (James 5:7-10) exhorts us to be patient in waiting for the coming of the Lord. James urges us to look at the example of farmers who must wait for the fruit of the earth. This is a good example. Some things, such as the growing of food, or a mother waiting for her child to be born, simply cannot be rushed. This does not negate the fact that it is hard to be patient. It is a lifelong challenge and God does provide us with many opportunities to practice it. This time of year is especially hard on children’s patience. I remember being a child. Advent moved at a snail’s pace. The lighting of that pink candle meant so much. We were getting close. Christmas was coming! As an adult, the opposite is often true. Advent passes by in a blur of activity and the lighting of the pink candle is more likely to induce panic than joy. Christmas is right around the corner. There is so much left to do! Parenting, on the other hand, is a daily lesson in patience. Looking back, children grow up so quickly. Where did all those years go? Most days, however, dealing with the struggles and crises of the moment, it seems as if progress is being made ever so slowly. We want our children to be out of whatever difficult phase they are going through, even if we know that it is a learning experience for them and for us. Growing up takes place one small step at a time. Being a good parent means being patient with both our children and ourselves. And how does God respond? “Yes, I hear you and I know your needs, but it will take some time to get everything sorted out. There are lessons here that you need to learn. There is a reason for it all. I have plans for you that you can’t even imagine.” All of which means that we are going to spend some quality time waiting. Like the plants growing or the child forming in the womb, we are developing and changing and growing. It’s a process. We need to be patient with God and with ourselves, even when it is very hard. By the same token, we need to have patience with our fellow brothers and sisters in the trenches. Going back to that letter of James, he tells us, “Do not complain, brothers and sisters, about one another, that you may not be judged.” It can be so easy to see the faults in other people. If only she would do a, b, and c, her problems would all be solved. It is so simple. Why can’t she see it? That would be because she needs to grow, too, and she is traveling her own difficult road. None of us is perfect. We are all merely travelers on the journey, waiting for that second coming of the Lord when everything will be made right. Amid this busy Advent season, may we take the time to pray for patience with God, ourselves, our children, and all we come in contact with. 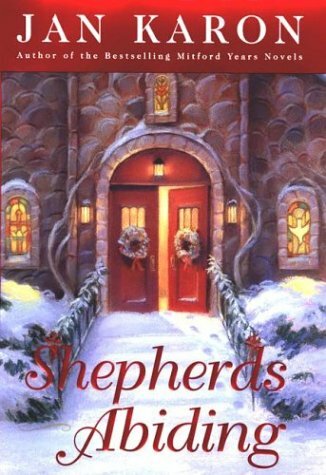 I recently returned to the world of Mitford and indulged in Jan Karon’s “Shepherd’s Abiding,” a touching Christmas story featuring Episcopal priest Fr. Timothy Kavanaugh. I am a fan of the Mitford series and have read many of the books, however one could pick this one up without any prior knowledge and still enjoy it immensely. Fr. Tim bravely takes on the project of fixing up an old battered nativity scene to present as a Christmas gift for his wife, despite the fact that he has no idea how to do this. Meanwhile, other Mitford residents are facing change and upheaval in their own lives. One can’t help but love this motley crew of characters and care about their lives. 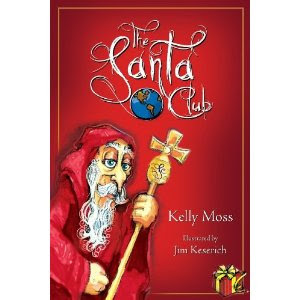 This is a quick, enjoyable read, perfect for getting you into the holiday spirit. The past few years, my children and I have put up a Jesse Tree to mark the days of Advent. Looking at our various Advent traditions and feeling a bit overwhelmed by them all, I thought I might skip it this year. My children had a different plan. In fact, in Church on the 1st Sunday of Advent, my younger son leaned over to me and whispered, “Mom, we need to do the Jesse Tree,” with as much urgency as he possibly muster at that moment. Yes, this is one tradition that will not be faded out any time soon. And, despite my initial reluctance, this is a good thing. Who is Jesse and why does his tree matter? Jesse was the father of King David. Jesus is considered to come from the line of David (through his foster-father Joseph who was from the house of David). The name of the Jesse Tree is taken from Isaiah 11:1, in which Jesus is referred to as a shoot coming up from the stump of Jesse. A Jesse Tree tells of many of the significant individuals in salvation history. There is no official version of a Jesse Tree, but it generally begins with Adam and Eve and includes such notable figures in Biblical history as Noah, Abraham, Isaac, Jacob, Joseph, Moses, Samuel, Jesse, David, and Solomon. It ends with Joseph and Mary and finally the Christ Child himself. Hanging one ornament a day during Advent for each of these figures allows us to walk with all those who came before Jesus and waited for him. It also provides the opportunity to learn more about these Biblical figures. The word “Advent” comes from the Latin “adventus” which means “coming.” In our liturgical Advent, we wait for the annual commemoration of Christmas, but we are also waiting for Jesus’ second coming. Like the Biblical figures of old, we too are waiting. How does one go about creating a Jesse Tree of one’s own? A Jesse Tree can be as simple or as elaborate as you choose to make it. In our house, we use a paper tree taped to the wall and glue paper ornaments on it. Others use a branch brought in from the outside, plant it in a pot, and then hang ornaments on it. For those who choose not to decorate a Christmas tree until Christmas Eve, Jesse Tree ornaments can be hung on the evergreen itself, thereby creating an “Advent” tree. Ornaments can be created out of paper or out of felt or fabric. 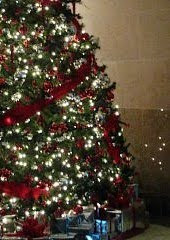 There are many listings of symbols and readings on-line that can help you in creating your Jesse Tree. I have provided a few below. However you choose to create a Jesse Tree, I hope that it will be a fruitful and enriching activity for you and your families this Advent season. Wishing you all a very blessed Christmas. An evergreen sapling stood in the crowded wood, a gentle layer of snow caressing its branches. It was much smaller than the tall stately firs that surrounded it and felt well-protected by their presence. It was safe there; it knew no harm would come to it. The small tree gladly welcomed the birds that would rest on its branches and the woodland animals that sought shelter beneath its boughs. It was a good life. One day, strangers came into the forest. “Who are they?” the young tree queried an elder fir standing nearby. “Choose one of us? For what?” The tree was puzzled. The petite tree could hardly imagine the giant fir being little like itself! It listened intently. At that moment, the sound of an ax striking wood resounded through the forest. “What is that?” the small tree asked, frightened. The years went by and the small tree had grown into a beautiful fir. Each year, it filled with fear as the family would come. “Please don’t pick me,” it would whisper. Each year, it filled with relief as another was chosen and dragged away. Another winter came to the forest. This time when the family came, there was a small girl with them. She saw the tree and fell in love. “This one, Daddy!” she cried with enthusiasm as she threw her arms around it. The tree was so scared as the father came over. It could see the gleaming metal of the blade carried over his shoulder. “Not me. Please, not me,” the tree begged. “Choose another. There are others more beautiful than I. There are others more worthy! There are others who want the job!” But then the tree saw the small girl’s eyes which were so full of excitement and love, and it remembered the words of the wise old tree – to give one’s life for the One who made us all is an honor. The tree took a deep breath. “I can do it,” it thought. “I can be brave.” It felt a sharp pain as the metal crashed powerfully against its trunk. The next thing it heard was the appreciative murmurs of the other trees as it was pulled across the snow. Yes, this year, it was the chosen one. It was brought to the family’s home. The smiling faces hung ornaments and lights on its boughs. The family sang songs and put wrapped packages underneath its branches. The little girl was lifted up in her father’s strong arms and placed a star on its top. A star – like the one the ancient tree had told him about! The tree had never imagined anything as wonderful as this! It never dreamed it would give such joy! Then, they told the story – the same story of the child’s birth it had been told so many years before. The tree was filled with warmth and love. Yes, this was an honor. This was its crowning moment. Like all those who give all for the One who made them, the tree was rewarded beyond measure. Christmas is right around the corner. While time is flying by too quickly as far as I am concerned, it is dragging painfully slowly for my children. My boys (ages 8 1/2 and 7) are literally bursting with excitement. Each day is one day closer to, as they put it, “The best day of the whole year.” This is the first year we have put some of their presents under the tree early, trusting them not to open them. This doesn’t mean that they can’t shake, examine, and carry them around! They have been having great fun doing this. There is all that magic and fun waiting inside those boxes and they just can’t quite get to it. The anticipation and dreaming of what might be inside is almost as good as the opening itself. I can only hope that the presents inside live up to their expectations! The best present I ever got as a child was a dollhouse. I loved dolls and dollhouses and had been begging my parents to get me one. The Christmas I was seven, there was a huge box under the tree. I just knew that was my dollhouse. I couldn’t wait to open it! We always had the tradition of opening one present Christmas Eve after we went to Mass. I knew which one I wanted to open. My parents refused, however, telling me to open a smaller one. I had to wait one more day to get the present I wanted more than anything. When I finally did get to open it, I was so happy. It was a kit, and my father lovingly spent the next few weeks putting it together for me. I got years of enjoyment out of that dollhouse. Even now, it still sits in my old room at my parents’ house. It is old and dilapidated and hasn’t been played with in years, but it still brings a smile to my face. For me, that dollhouse represents the joy in my childhood. I know Christmas isn’t about the presents (although I do desperately need the new wallet I asked my husband to get me!). My children know this, too. Their excitement about them, however, started me thinking about the greatest gift of Christmas – the gift of Jesus and the promise of eternal life. Heaven is the best present ever. Right now, we are in that state of anticipation. We can shake the box, and on our best, happiest, days perhaps get a glimpse of what heaven might be like. Unlike Christmas presents that come in a box, however, which often don’t live up to the expectations, Heaven will exceed all our imaginings. Our anticipation will be rewarded. It will be better than the best Christmas present we ever received. It is time to get excited! Christmas (and it’s promise of salvation and eternal life) is coming!